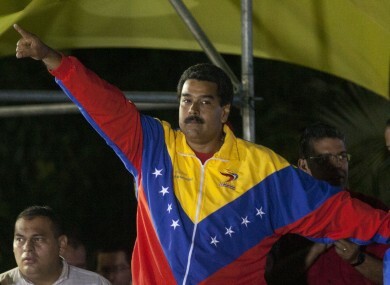 OPEC crude production dropped to the lowest in a year amid the woes in Venezuela’s oil industry. Output from the 14 members of Organization of Petroleum Exporting Countries fell by 170,000 barrels to 32.04 million barrels a day in March, according to a Bloomberg News survey of analysts, oil companies and ship-tracking data. That’s the lowest since last April’s 31.9 million barrels a day. Back then, Equatorial Guinea -- which pumped 130,000 barrels a day last month -- wasn’t part of OPEC. Algerian output dropped 40,000 barrels a day to 1 million, the survey found. Some oil fields underwent maintenance last month, shutting down production, a person familiar with the matter said. Crude exports from the North African country also fell to the lowest level in more than two years in March, according to cargo data by Kpler SAS. Neighboring Libya saw production drop below the 1 million barrels a day after some fields were shut down. 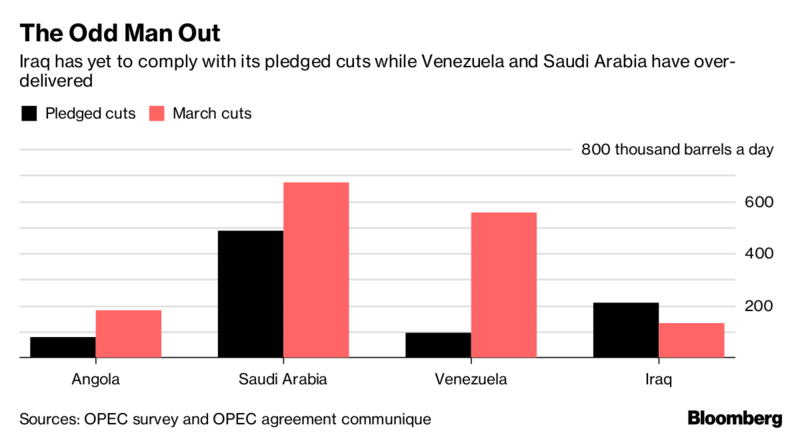 Output from Saudi Arabia, OPEC’s de-facto leader and its biggest producer, fell 10,000 barrels a day from February to 9.87 million. OPEC’s efforts to curb production since January 2017 has helped boost oil prices. Brent rallied 5.1 percent in the first quarter, the third straight quarterly gain, the longest streak since 2011.